80s Kicks: For Keeps or Kicked to the Curb? 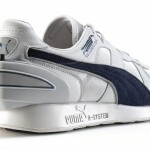 | Like Totally 80s 80s Kicks: For Keeps or Kicked to the Curb? 80s Kicks: For Keeps or Kicked to the Curb? 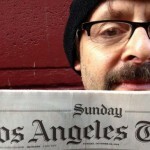 Home » Culture » 80s Kicks: For Keeps or Kicked to the Curb? Were 80s shoes something to flip over? Or were they a flop? With similar styles you can see today, it’s pretty clear we are still loving some of the 80s kicks. Do you have any of these classic styles in your shoe bin or closet? Which are your favorites? The 80s and 90s were full of jellys. 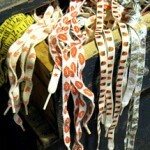 Any color you want and lots of styles make such a staple of the times. They did try to come out again but never really took off, and certainly aren’t a must have now. These shoes stole the show in the 80s. Air Jordans, Nike Air Force 1, and Nike Air Max were only a few of the many shoes Nike put out then. In addition, Adidas and Reebok had many releases throughout the 80s. 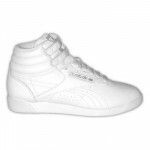 Reebok did especially well during the 1980s aerobic craze with their Freestyles high tops. These shoes accounted for over half of the brands sales in 1984. High top Chuck Taylors were made popular being sported in movies like Back to the Future and Ferris Bueller’s Day Off. The high tops are a thing of the past (mostly,) but even now, I have a pair of “Chuck’s” in my shoe collection. These brown shoes were casual without being a sneaker. 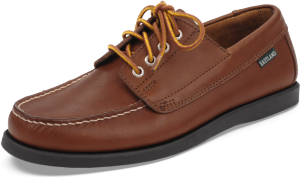 Whether you’re going for a family walk, out boating, or dinner and a movie, these shoes were dressy with a casual flair and worked no matter what you had planned. 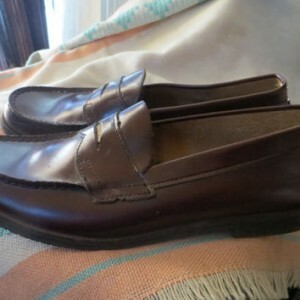 Penny loafers are Eastlands grown-up, fancy sibling. Though to be fair, these shoes look suave with anything from jeans to dress pants, so you can easily dress them up or down. The women’s “sneaker” of the 80s: Keds. Thought to be honest, they are still popular, even now. They would be considered the “Mom Jeans” of the shoe world. Minnetonka Moccasins were the coolest. You just had to have a pair with Indian beading and tassels. As a girl with a liking for all things 80s, and Indian heritage, it’ll be no surprise to hear that I, too, owned many good looking moccasins as a child. Now? Not so much. 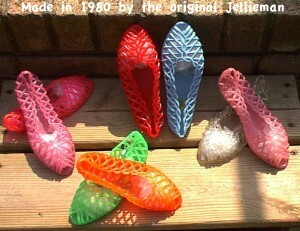 Growing up in the 90s made me no stranger to jellys and keds. Do I still wear them? Nope. But I did like them then.